The earliest records of the church in Worting go back a thousand years to 1016. At this time the advowson (or patronage – the right to appoint the priest) was held by the monks of Hyde Abbey. They held this for over 500 years until Henry VIII dissolved the monasteries in 1538. Also from this period, the presence of a church in Worting in 1086 is mentioned in the Domesday Book in 1086. It is thought that a church may have first been built on this site in Saxon times, perhaps by the Lord of the Manor who would have appointed the clergyman and charged the land in the parish with tithes for his support. The present dedication to St Thomas of Canterbury suggests that the old Saxon church was entirely rebuilt after the canonisation of Thomas à Becket in 1173. On 9 May 1655 a fire in the parish caused widespread devastation, destroying the church, a farmhouse, the White Horse Inn, six other houses and eleven barns. Most of the early parish records were lost in the blaze. However, a few documents survive relating to monies given and received by sufferers of the fire. These show the loss to the inhabitants of Worting amounting to the then very considerable sum of £1,384 – perhaps as much as £3m in today’s terms. The rebuilt church lasted for nearly 200 years but was then demolished in preparation for the erection of the building we have today. The present building was designed by the architects Woodyer of Guildford and is built in 14th-century Gothic style with a nave, chancel, north aisle and vestry. The walling is of flint, with stone dressing and corner buttresses, and there are two light traceried windows beneath hood moulds. It has a steep red tile roof with scalloped bands and at the west end there is a belfry of a shingle broach spire on a shingled square base. A very fine day… There were present most of the principal families in the neighbourhood… The procession of the clergy to the churchyard was preceded by a man (not in purple) bearing a huge coarse-looking cross, rather astonishing to my weak comprehension… The prayers were nearly the same as at the building of Nutley Church, and ended with the hundredth Psalm sung by the large congregation assembled. Mr Wither, the principal Proprietor of the Parish, read some of the necessary forms after which, by permission of the Rector, Mr Laurel gave an excellent exhortation ending with a recommendation to all assembled to add their mites towards the expense of a painted window lately projected. There were present about one hundred and fifty persons at Holy Communion, an equal proportion of clergy and laity… It gives us pleasure to notice that on such an occasion, while the rich and the great were most hospitably entertained by the rector, the poor (the Church’s peculiar care) were not forgotten, a portion of excellent beef being given to each, to mark a day so important and interesting to them. A century later, on 3 May 1949, the church was considered to be of national historical and architectural interest and was designated as a Grade II Listed Building. The present church was built in 1848 to serve a village of just 158 inhabitants. Following the expansion of the town from the early 1960s, Worting was no longer a separate village on the outskirts of Basingstoke and, in order to serve a rapidly growing population, two further churches were planted. On 31 January 1970 the Church of the Good Shepherd in Winklebury was dedicated by the Bishop of Winchester, the Rt Revd Falkner Allison; Winklebury became a separate parish for a while but has since amalgamated with Worting to form the current parish, Winklebury and Worting. In 1978 St Mark’s Church in Kempshott began in the local junior school before a dedicated building opened in 1987; Kempshott is now a separate parish.  The building today, together with the Church of the Good Shepherd, continues to serve the needs of the people of the parish of Winklebury and Worting.